Is it possible to wash a sweater from acrylic and how to do it correctly? Some people distrust synthetic clothing, considering it to be airtight, harmful and not environmentally friendly. However, modern technologies allow manufacturers to create absolutely safe synthetic fabrics, which also have a number of useful properties and sometimes even surpass their natural counterparts in quality. One of the most popular materials for clothing is acrylic, which is made from natural gas or oil products. Things from acrylic are pleasant to the touch, warm, almost not crumpled and serve their masters for a long time. Wool is often replaced by acrylic cloth in the textile industry, so almost everyone in the wardrobe has a sweater or jacket made from this material. Despite the seeming simplicity of synthetics, many people wonder: is it possible to wash acrylic and how to care for it after washing. acrylic, like any other synthetic, does not tolerate exposure to high temperatures. From hot water, the fabric becomes coarse, loses its softness and fluffiness, and the product itself ceases to keep its shape. If the label does not contain a special warning, clothes from acrylic can be safely dry-cleaned. rinse the sweater in plenty of water. Do not set the speed too high in the spin mode, but rather give up the mechanical spin altogether. So, despite all the precautions, acrylic sweater still lost its shape. It will be quite difficult to fix it, but in cases where the scale of the disaster is small, the following tips can help you. 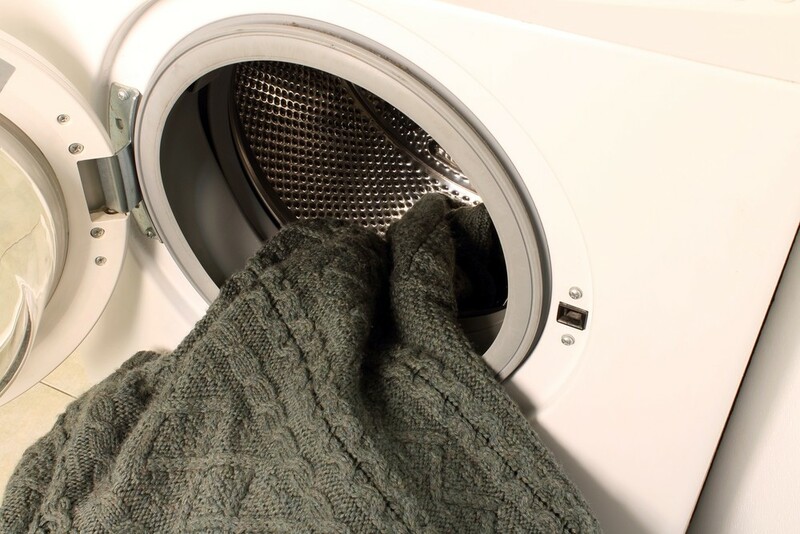 Try to wash your sweater in compliance with all the necessary rules, and after washing, rinse with a fabric softener, often such a simple measure saves the situation. If only separate parts of the sweater (sleeves or hem) are stretched, immerse them in hot water for a few minutes and then dry them gently. This method is more radical, since the structure of the filaments can be destroyed by high temperatures. 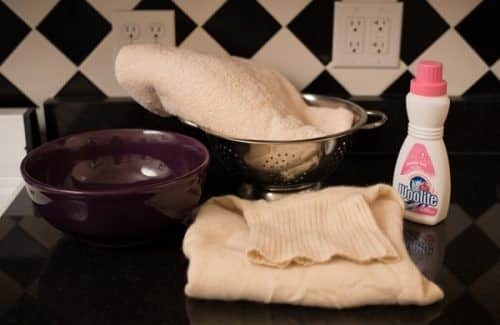 On 10-15 minutes soak the product in warm water with the addition of a fabric softener. 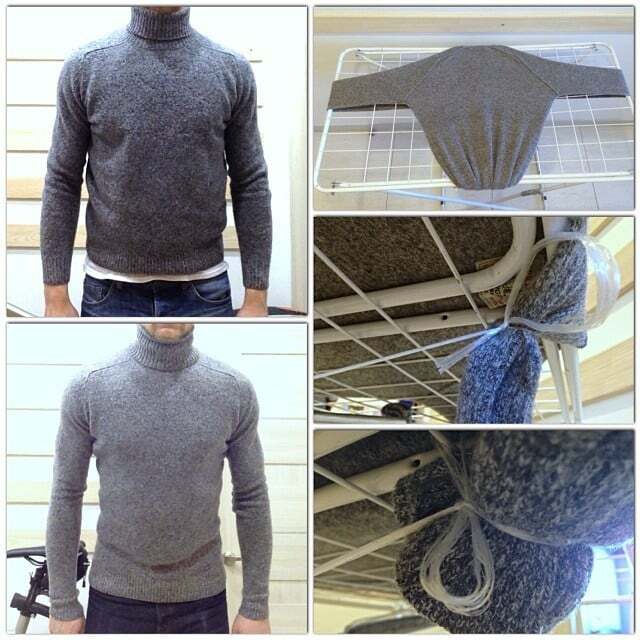 Remove the sweater, wrap it in a cloth and slightly squeeze. After that, it must be fully straightened on any horizontal surface and begin to gently stretch in different directions, if possible making equal efforts. Stretching must be repeated every half hour. Some experienced housewives offer to put on a wet sweater that has sat down on itself and let it dry in that position. There is another way to return the original size to an acrylic sweater. 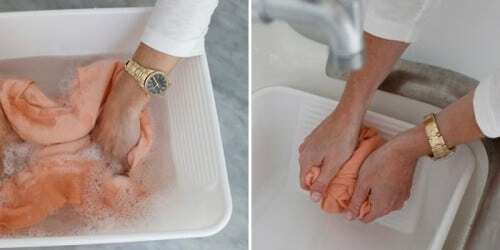 The product must be soaked for a day in a solution of water, grated soap, 1 Art. l turpentine and 3 Art. spoon of ammonia, and then stretch and dry. In no case should this procedure be carried out with wool products, but acrylic will transfer it without any special consequences. If you follow the above recommendations, your favorite sweater will long please you with its impeccable look.